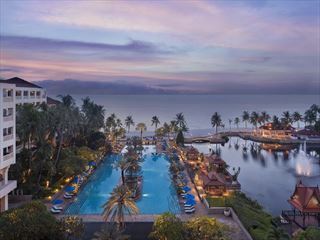 Aleenta Hua Hin - Pranburi Resort and Spa is the original award winning boutique luxury resort upon which Aleenta started. This special luxury boutique resort and spa features 23 unique suites, most with a private pool. 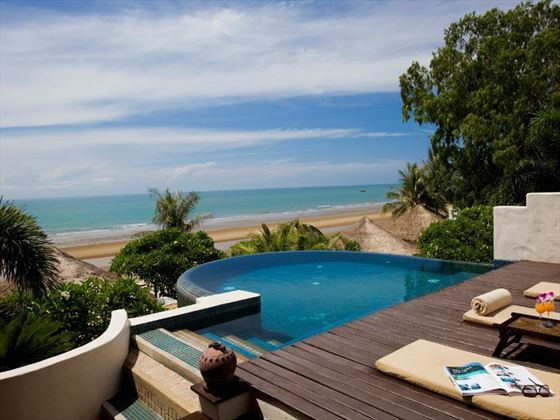 Each suite is located within steps of the beach and offers commanding stunning views of the Gulf of Thailand. 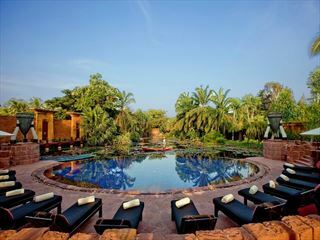 Situated on the pristine and golden sand stretch of Pak Nampran Bay, Aleenta Hua Hin - Pranburi is a mere 2.5 hour drive south of Bangkok on a modern well maintained highway. Private transfer in a well-appointed limo, complete with a personal entertainment system, can be arranged by your travel consultant at the time of booking. 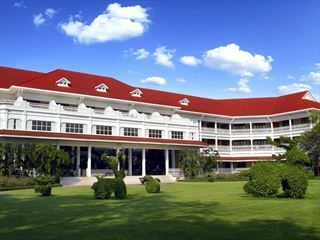 The property is a short distance away from Hua Hin and its array of world class golf courses. Originally the owner's private vacation home, the resort is split into two wings. 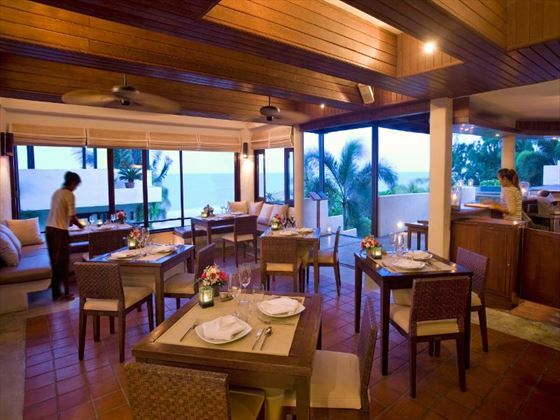 The Franigpani Wing consists of 5 stunning beachfront properties and is ideal for families. The Resort Wing is designed for adults only offers a variety of residences, steps away from the shore and all with private plunge pools. There are also three individual villas which are ideal for larger groups and families. The resort offers a perfect location for a romantic beach wedding and honeymoon with its beautiful and private setting. An onsite wedding planner is available to help create the most magical celebration whether a honeymoon, wedding or renewal of vows. Top Tip: A haven for foodies and those who are interested in the slow food concept. The hotel has its own 16 acre farm, which produces fresh and organically grown fruit and vegetables which both guests and the surrounding local community are free to enjoy. Guests are urged to jump on board the farm's Tuk Tuk, fuelled by recycled cooking oil to take a visit and participate in a cooking class. Further reading: Aleenta Pranburi Resort & Spa is featured in our guide to the top 10 luxury hotels in Thailand. Frangipani Residence - feature large windows which open up to private sundecks and sea views which overlook the mail resort pool. All bedrooms have a king size bed and can accommodate an extra bed for a child up to the age of 12. Two Bedroom Chaba Villa - this small villa is full of character and color. Part of the Frangipani Wing, the villa has a ground level patio and lawn leading to the beach. The master bedroom commands gorgeous sea views and the second bedroom offers a twin bedroom for children. The large lawn has a Thai Sala for shaded lounging and a private terrace area which is perfect for al fresco dining. 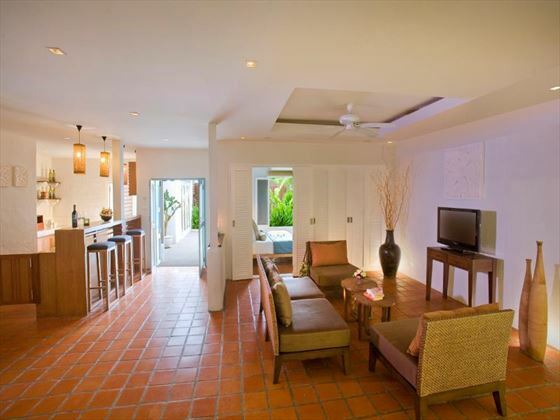 Five Bedroom Frangipani Residence - a luxurious property split over two levels with a private roof sundeck. The residence offers personal butler service with its own private entrance and check in area. Ocean View Residence - just steps away from the sea, these intimate one-bedroom residences are discreetly tucked away in the Resort's flower filled courtyard and have an outdoor/indoor living area. Pool Residence - these one bedroom suites come with their own private plunge pool, these thatched roof residences are set directly on the beach and have stunning ocean views. 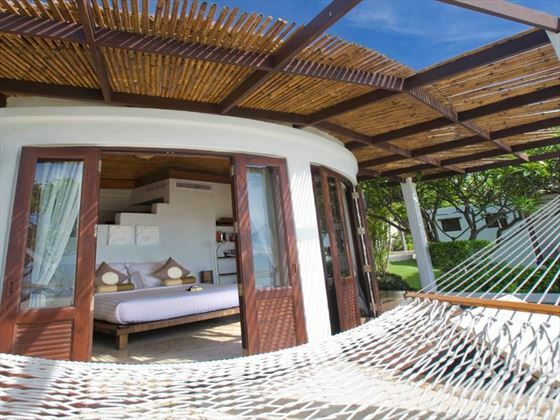 Designed for total relaxation with plush king size bed, large private verandah and private Jacuzzi. Palm Pool Residence - Spacious, romantic and opulent, these Residences are set back from the beach and the plunge pool and private Jacuzzi are set around your own immaculately kept private gardens. Penthouse - A large and very private circular shaped suite set high above the resort's grounds. Features include a stone tub for two and spectacular 180 degrees views of the Gulf of Thailand and the Three Hundred Peaks National Park. Two Bedroom Beach House - the ultimate beachfront escape for groups of friends or families. Set over 2 floors with a private roof top deck with loungers and an outdoor shower. The bedrooms are situated on the ground floor, one with it's own private terrace, the other with a beachfront plunge pool. Please note children under 12 are not permitted to stay at the Beach House as it is located in the resort wing of the hotel. Ayurah Spa takes a more medical and results oriented approach to wellness. Jump aboard the resorts Tuk tuk, fuelled by recycled cooking oil and visit the resort's 16 acre farm and get involved with the local community project there. Thai cooking classes are held at the farm. Delivering delicious traditional and modern Thai and international cuisine created using the fresh ingredients and organic herbs and vegetables from the Aleenta garden. Dining available from morning to night starring delectable dishes in delightful locations. This is Aleenta's celebration of home grown and local product, all ingredients are sourced organically and from within a 30km radius of the resort. The chefs delight in taking the best local product season to season and create both Thai and International creations. Add a touch of magic to your vacation with an evening of private dining. Whether you would like a romantic meal for two at your place, an exclusive beach barbeque with your family or even a sophisticated cocktail party with friends, Aleenta will gladly fulfill your private dining request. Browse and sample gems from the extensive cocktail menu, open wine and wine list, as well as wine of the month. The Aleenta bar guarantees to have thirst quenching drinks for even the most discerning customer. 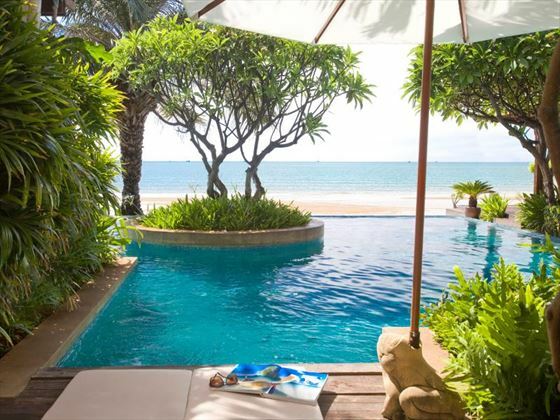 On a long sandy beach between Cha-Am and Hua Hin, this tranquil resort offers an exceptionally high level of comfort and service that the Dusit chain is famous for. This beautifully restored colonial style hotel is a firm favourite and has long been a famous landmark hotel in the area. Only 3 hours from Bangkok by road this a great choice for a family beach holiday.